Venezuela tourism may be on a general decline, but the country still has plenty of natural attractions and sandy beaches on the Caribbean that make it worth a look. With the Andes Mountains, Llanos Plains, the Orinoco River delta and the Caribbean Sea, this country, colonized in 1522 has a lot of diversity to offer the vacationer. Canaima National Park is a huge part of Venezuela tourism as it offers not only the highest waterfall in the world, Angel Falls, but also lots of sandstone formations called tepuis. Located in the south east of Venezuela, Angel Falls was named after an American bush pilot, Jimmy Angel who discovered them in 1937. They majestically fall 807 meters and travelers to Venezuela can get to them in a variety of ways, including on all-inclusive excursions by boat, canoe or small plane. 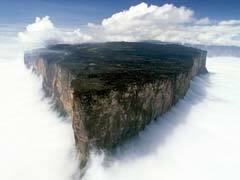 The Tepuis are large plateaus of rock that have vertical walls to go with their flat tops. These amazing formations dot the skyline as sheer cliffs, formations, a lagoon as well as other lesser waterfalls are abundant in the park. The National Park is also home to the Pemon Indians and has been named a World Heritage Site. 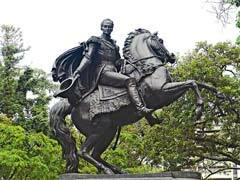 Travelers to Venezuela who find themselves in the capital of Caracas can visit the Casa Natal and Museo Bolivar, the birthplace and museum dedicated to Simon Bolivar, the man who liberated Venezuela as well as other South American countries from the Spanish. Here you can learn about the history of the man and the country while looking at interesting things from his life. The Teleferico is a cable car that goes up the side of the Avila Mountain offering stunning views of the city. There is a place to ice skate at the top of the mountain and a restaurant where you can sit and admire the scenery. The Paseo de los Proceres is a long avenue where tourists to Venezuela can see many monuments to national heroes along with gardens, trees and various art that is also displayed throughout. This is a lovely place to go for a stroll or a jog or just to sit and contemplate the day amid pretty surroundings. Parque Del Este is a park in Caracas that combines 9 lakes, a mini zoo, cactus garden, aviary, and a planetarium. It makes for a great picnic spot and there are paddleboats and trails for family friendly fun. Margarita Island lies about 25 miles from the mainland and is a special treat for visitors to Venezuela as it is a tropical and mountainous Caribbean island albeit with a South American flavor. The island is actually two islands joined by a mangrove filled lagoon in La Restinga National Park. Isla Coche is just a short boat ride away and features white sand beaches, warm Caribbean waters and plenty of palm trees. This island is great for watersports of all kinds, kite and wind surfing and of course snorkelling and scuba diving to explore the underwater world. Back on Margarita Island tourists to Venezuela can take in Playa El Yaque, which is a wind- swept beach that is a mecca for kite surfers and windsurfers alike. The low waves and clean sandy beach make this a great place to kick back and relax and a great beach to choose when traveling with kids. La Playa El Agua is another beautiful beach lined with palm trees that offers mid-size waves and plenty of water sports to enjoy. Crystal clear waters and white sand beaches offer fun in the sun for all ages. For those travelers to Venezuela who love horses, you won’t want to miss the Ranch Cabatucan where you can take horses out on a guided tour down the hills and down the coastline into the sparkling waters. This is a great way to see parts of the island and its many species of plants and animals while riding through the area surrounding the ranch. 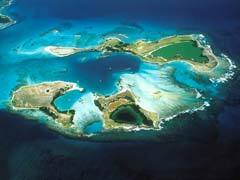 Los Roques National Park offers vacationers the largest marine park in the country, situated about 100 miles north of the capital. The park offers mangroves, sea grass beds, white sands and plenty of opportunity to scuba dive amid reefs. Visitors can also snorkel in the clear waters and check out all the different fish that are found in the area. Cayo Crasqui is a lovely beach within the park with lovely beach facilities as well as plenty of snorkeling opportunities while Cayo Fabian is a spit of soft sand that is a lovely quiet place to get away from it all, close to the water’s edge and the snorkel and dive locations that are found around the park. Venezuela is a biodiversity fan’s greatest discovery as there are so many different regions to visit within the one country. 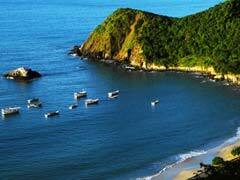 Beaches, jungles and mountains are just the tip of this county’s attractions.